To help your offering to the Church go further please make sure you complete a Gift Aid Form and include your unique reference number when making your offering. This can be done on offerings made by both standing order and by cash. The Government operates a scheme called Gift Aid that allows the Church to claim the basic rate tax on every pound donated. So if you were to offer £100 to the Church, it means that the Church will actually receive at least £125. This means that the Church can receive so much more at no extra cost to our congregation. How to register offerings for Gift Aid? 1. In order for the Church to receive the extra Gift Aid payment you will need to first complete a Gift Aid Form and hand it to of the committee members (Judy, Wing Leung or Victoria). 2. Once the committee has received your Gift Aid Form they will issue with a unique Gift Aid reference number. 3. When you make an offering to the Church you will need to include your Gift Aid number. – For offerings made in cash during our Sunday service please first put your offering in an envelope and write your Gift Aid number on the envelope. Then simply place the envelope into the offering bag. 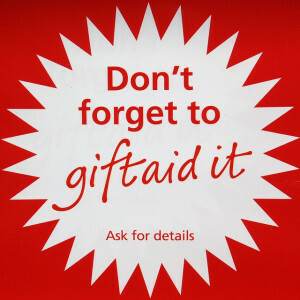 Pre-printed Gift Aid envelopes are available from Church library. For more information on Gift Aid please visit the the UK Government Website. If you wish to set up a standing order for your offering please use the bank details listed on the Church bulletin.